Transitioning into retirement can be a refreshing, fun and uplifting process. Some may think they've still got a few decades left to contribute to the workforce, while others wholeheartedly agree that an earlier retirement do far more good than harm. Ultimately, it's up to what you want to get out of life, and if that is to have an early retirement, here are five reasons to further convince you. Don't keep telling yourself that you'll work on flourishing a talent during your spare time. If you've yet to give yourself a few good hours each week cultivating a skill, then it's highly likely you don't have enough extra time to spare. Retirement will let you put work aside, so you can focus on those hobbies that have been sitting on the backburner. 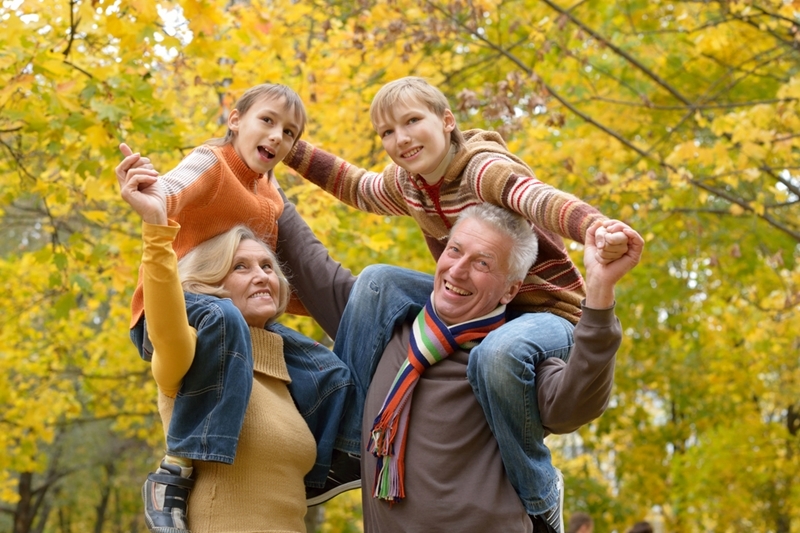 Those young years with your grandchildren are only going to pass by faster than ever. If each time they visit you, they're another head taller, perhaps you should hang up your work boots to focus on quality family time instead? You can build on that sacred grandparent-grandchild relationship and cherish each moment before they grow up before your very eyes. The bonus is, you don't have to change any dirty diapers! Do you spend enough time with your loved ones? If you find that you're just ho-humming your way through your job, passions or interests no longer ignited, then maybe it's time to call it quits? You are quite possibly compromising on a better quality of life just to continue working, when in fact, there are many independent and active retirement communities just waiting for someone like you. Is work still fulfilling, invigorating and exciting? If you've had more sick days as of late, perhaps it's your body's way of telling you that it needs to stop working? Our health should take priority over work, because there's no point continuing a job at the cost of your physical and mental wellbeing. You find yourself yearning for more days off and less work hours, and spending all spare hours with family or friends, living in the moment. Could it be a sign you're ready to retire? If the idea of retirement living is no longer a daunting aspect, it's could say a lot about your frame of mind. Take the next no-obligation step and have a look at some of the options available for independent retirement. It could sway you in the direction you need to point your life.